The Scottish Rally Championship organising committee had recently entered into a new sponsorship arrangement with ARR Craib and sought the skills of Quentin James Design, Preston to create a new web rally championship web design to promote the prestigious 2013 Championship. 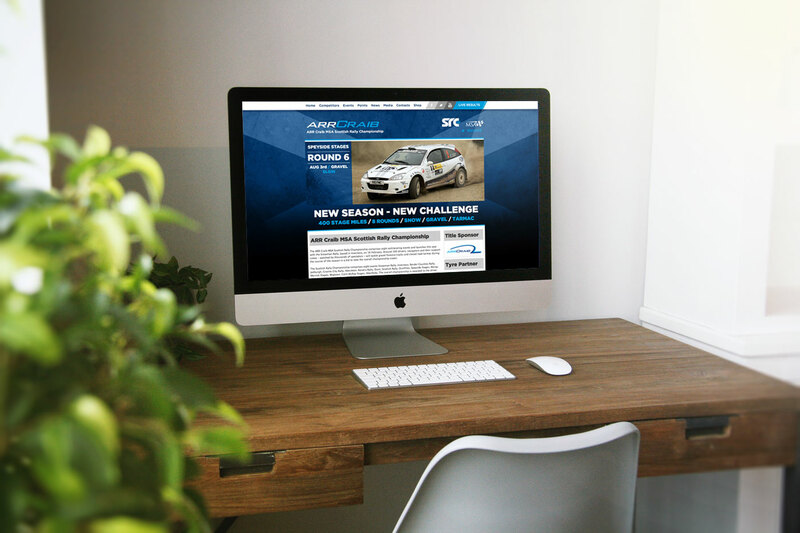 In January 2013 Quentin James Design commenced work on the new Scottish Rally Championship Web Design with a go live deadline prior to the first round of the championship in mid-February. On this tight timescale we were tasked with creating a brand identity which would incorporate the existing logos of both the SRC and their new title sponsor ARR Craib in a sympathetic and complimentary style. The inspiration for the new rally championship web design and branding came from a desire to marry the themes of Scotland’s Salt Aire with a gritty, rally evoking texture both of which would sit well with the SRC and ARR Craib logo and branding. To further connect the website design with the title sponsor’s brand identity the ARR Craib skyline silhouette branding element was also featured. All of these elements contributed to the underlying aim of maximising the sponsorship opportunities for ARR Craib and the various other supporters of the SRC. Alongside the promotion of the championship’s unique selling points, social media engagement was a high priority. To achieve this, prominent links to SRC social media accounts including Twitter, Facebook and YouTube were included in the new rally championship web design together with links to the championship’s hashtag #src2013. By promoting this hashtag, engagement at all levels with the SRC itself, the teams and drivers, sponsors and spectators has been boosted. The project was completed on time and on budget, despite the short lead time, and client training for the WordPress website content management system was provided shortly after the first round of the championship took place.